By displaying time frames at the top of a chart, shortcuts are created to quickly move from one time frame to another. 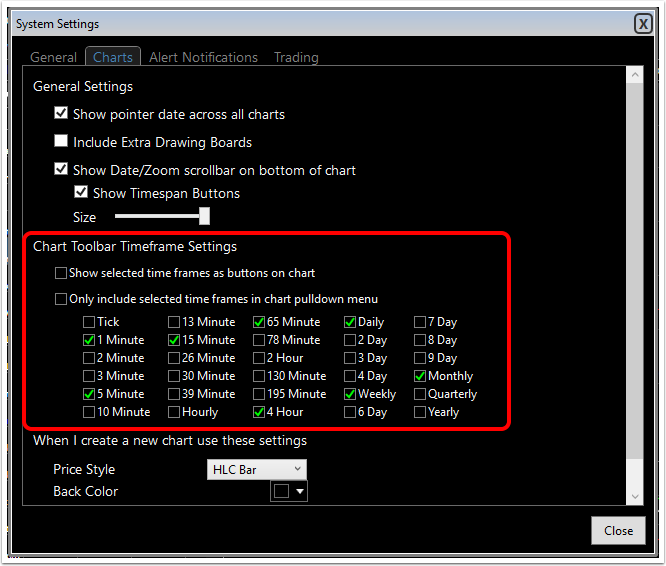 Here are the steps for setting up which time frames to display. This displays the full list of time frames available. Simply click on any time frame in the drop down menu to make that the chart time frame. Keyboard shortcuts are displayed alongside certain time frames and can be used to quickly move to different periods. 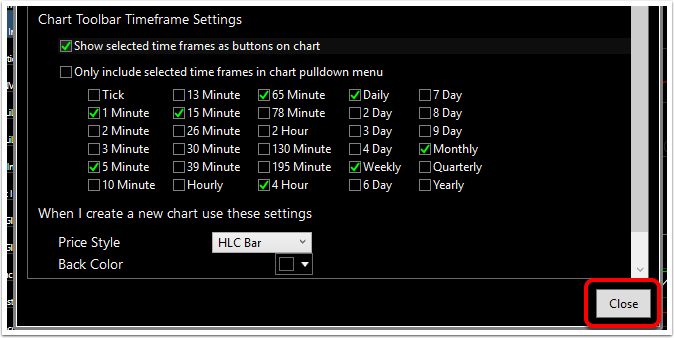 This opens the System Settings menu to the Charts tab which contains the TimeFrame settings. 3. 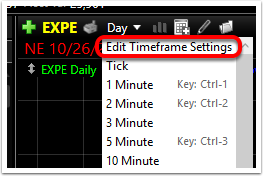 Put a check mark next "Show selected time frames..."
Note: Put a check mark beside "Only include selected time frames..." to display only those time frames in the time frame picker on the chart. To select a time frame, simply click on the time frame desired. 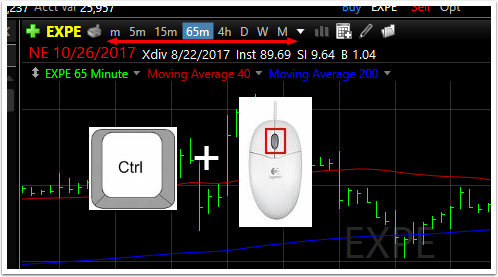 Toggle quickly between the displayed time frames by holding down the Ctrl key on the keyboard while using the scroll wheel on the mouse. Put as many time frames across the top of the chart as desired. The same is true for the drop down TimeFrame picker menu.